As of 2:00 AM last night, all pieces have been installed. A cursory follow-up confirmed that at least a few of the pieces are still on display. Stay tuned for a map, and further information. The Lo-Fi City Guide is an exploration of analogue low-tech and low-fidelity information in an increasingly digital and high definition world, presented in a rather inconvenient 8.5 x 11″ format. 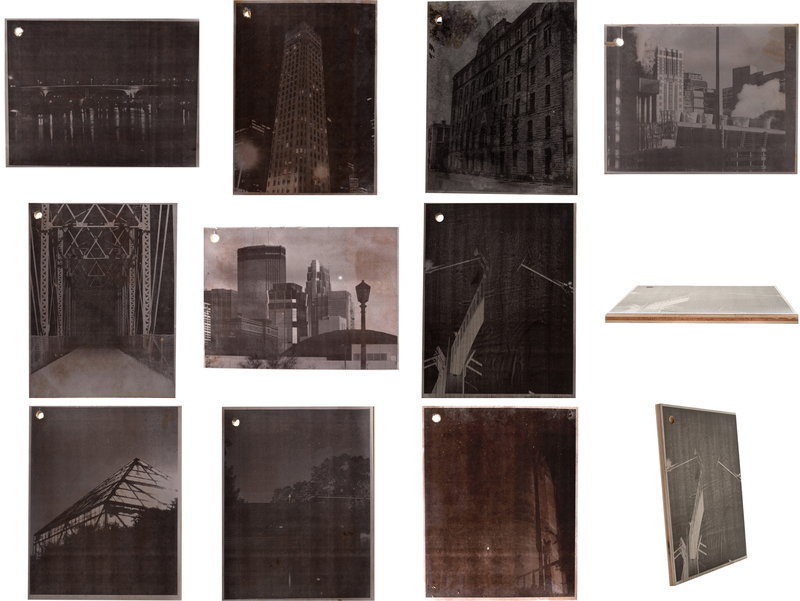 Each photograph of the Minneapolis, MN area has been reduced to a high contrast, low dpi copy print, and affixed to a sheet of 1/4″ plywood. On the back the user will discover a title, series number, a short informative, and coordinates of the location of the photographed subject. This project is a continuation of my experimentation with graffiti style public art. Each piece will be installed around the Twin Cities metro area in that style, however all mountings will be non destructive and temporary, as to not damage any property in the process. Locations will be documented on this site as they are installed, along with detailed documentation. Enjoy, and feel free to leave your feedback.